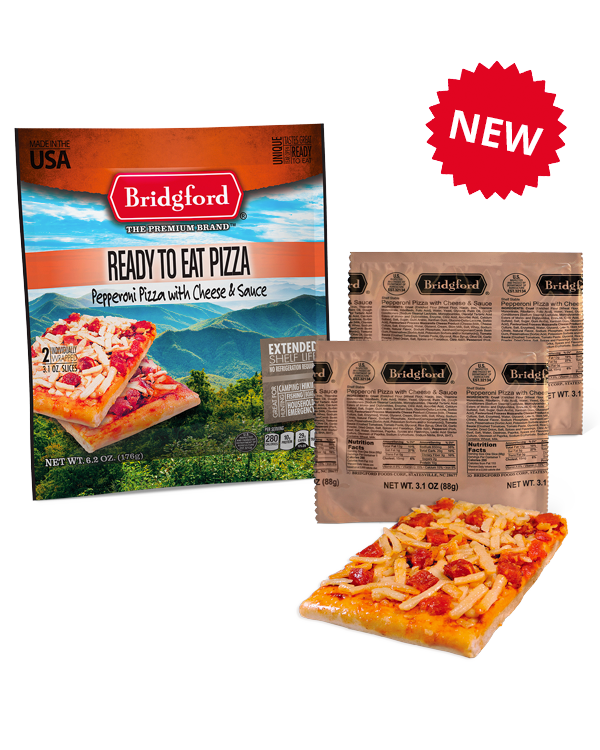 A new and revolutionary product introduction on the shelf-stable meal – try our Pepperoni & Cheese Pizza! Now you can be 200 miles from the nearest pizza restaurant and not miss your favorite entrée. 280 calories and 10 grams of protein per serving. No water or heating is required. Just tear open and eat. If heating is preferred, see instructions on back of package.